Due out in February, this is a pretty amazing book – and it’s one that I want to talk about as both a reader and as a writer. This was the first e-galley I ever read on my iPad, and even though I’m not a big fan of e-readers, I’ve never been so motivated to finish a book on one. 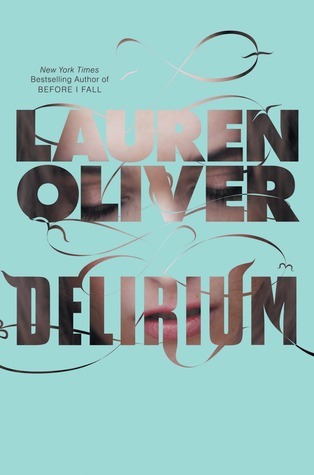 DELIRIUM is a major league page-turner, full of romance, conflict, and action. Like Ally Condie’s MATCHED, coming out this fall, it’s about a future world where people’s mates are chosen for them by the government. In DELIRIUM, love has been identified as a deadly disease (Delirium Nervosa!) that is "cured" by a mandatory procedure performed when a person turns 18. What happens to those who resist — including main character Lena — forms the central conflict of this book, and keeps readers turning pages through a whole lot of great twists, to find out how it will all end. My 7th grade HUNGER GAMES fans are going to eat this one up. Anyway, as a writer, I find this setting choice fascinating because it allowed the author to manipulate the elements of society that needed to be changed for the story to work without reinventing the world in other areas. Now I find myself wondering how the story might have been different if it had, in fact, been set in the future instead. Would the technology changes and other futuristic elements have detracted from the main conflict and the love story? Maybe. Either way, I think it was an interesting choice, and one that worked beautifully for this particular story. I also love the cover design. Look carefully. See the girl showing through the letters in the text? When the hardcover comes out, you’ll be able to take off the jacket to see the rest of her face. Aside from being lovely and clever, it’s fitting for the story, too.